This is interesting. Was there some reason they couldn't implement the feature on Gingerbread? Did someone at Motorola decide this was a feature that nobody used? I'm sure there are countless possible options but it is a little disappointing that they wouldn't have let people know that the feature was removed with Gingerbread. The thing that seems most strange about this is that the flip to silence feature didn't work correctly when the Droid X was released. Well, it did but not always I think. They actually fixed it, so flip to silence worked correctly. I would have thought they would have ditched the setting then rather then fixing it. So it's just odd to me that they bothered to fix it and then took it out all together. Personally, I think it was a cool idea but for me it's just as easy to hit a volume button on the side to silence a call. I actually prefer that because I can see the notification LED when it's face up. Did any of you use the flip to silence feature? 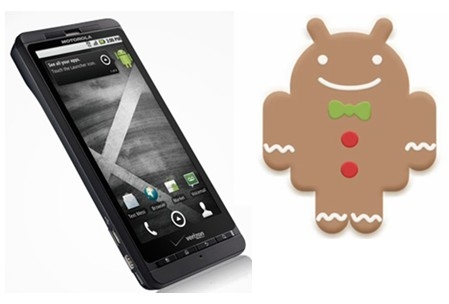 Do you know of other features on the Droid X or other phones that have been lost with official OS updates? Btw...Thanks to Neville for sending this in.